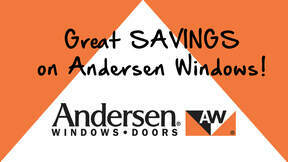 Andersen Windows & Doors Limited Time Sale! BONUS SAVINGS: We’ve got a GREAT DEAL on a GREAT WINDOW for you! SAVE an Additional 5% on Andersen Windows and Doors from Energy Efficient Replacements for your White Pigeon, MI home by scheduling a FREE Quote Today!! Unfinished pine, maple or oak interior protected by vinyl exterior. Prefinished White interior also available. Energy Efficient Replacements is White Pigeon, MI's premier Andersen Windows dealer and installer. 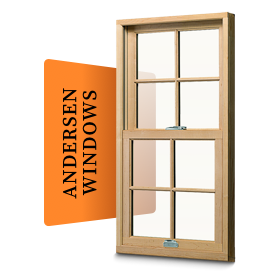 This means the team at EER can help you choose the optimal Anderson window to fit your home as well as professionally install. Whether you're looking for new windows as you build a home or replacement windows as you upgrade and update your home, we can help! This is a great time to consider upgrading your Doors as well as your Siding to completely overhaul the look of your home. Andersen has been producing high quality new replacement windows since 1903! 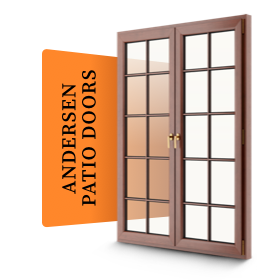 We guarantee that you will be pleased with your options from Andersen. 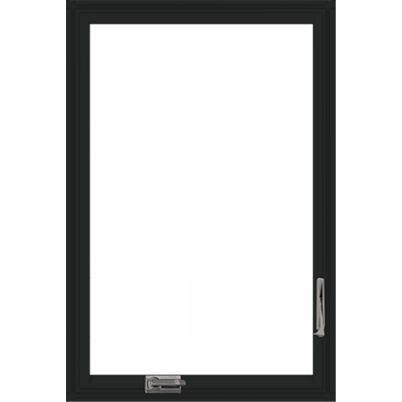 Architectural Shapes – interestingly shaped, stationary windows are designed to add appeal to a standard window setup. Awning – Windows that vent from the bottom and swing upward. Bay Windows – A composite of three or more windows usually made up of a large center unit and two flanking units. Bow Windows – A composite of four or more windows mulled together to form a gently bowing or curved effect. Casement Windows – Windows that vent by swinging outward from the left or right. Double-Hung Windows – A window with two vertical operating sashes that slide up and down. 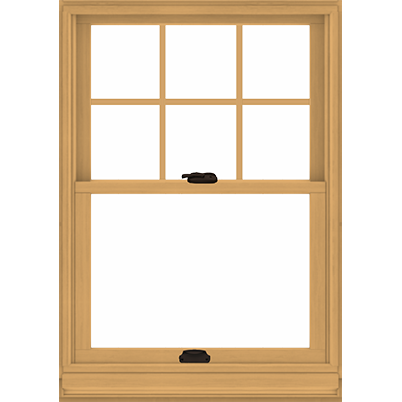 Hopper Window – A window that vents from the top with the sash dropping down into the home. Picture Window – One, large stationary window. Horizontal Gliding Windows – Windows that vent from left to right and operate similarly to a patio sliding door. 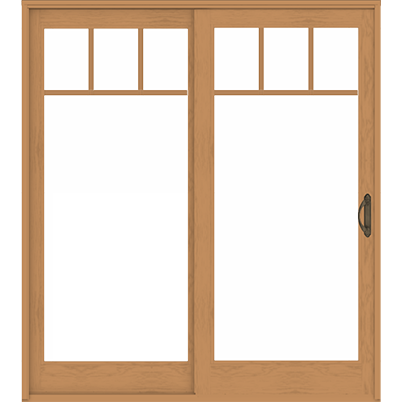 Transom – A smaller accent window above a door or another window. Energy Efficient Replacements, hires professional crew members and makes sure that they have the training and skill to place your home’s windows and doors expertly. We have high service standards, so our technicians will treat you and your home with consideration and respect. Our installation team completes each project with care, and they will leave your home clean. Once the installation is complete, you will receive a thorough demonstration of how your new windows and doors operate. You will also receive accurate and immediate answers to your questions. As your trusted window company in the region, Energy Efficient Replacements believes that you deserve only the best for your home. That is why we carry products manufactured by the leading companies in the industry, such as Andersen® Corporation. 1. Andersen Windows Promote Energy-Efficiency – Today’s homeowners are increasingly looking for energy-efficient home upgrade options. 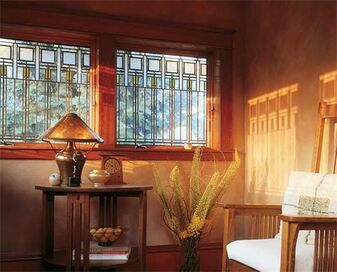 If you aim to build a greener home, start by investing in Andersen windows. Andersen was the first window and door manufacturer to be named ENERGY STAR® Partner of the Year. The company earned that honor several more times—a solid proof of their commitment to green building. 2. Andersen Windows Combine Design and Functionality – Andersen strives to support your creativity in designing your personal space. That’s why we provide you with an impressive selection of vinyl windows in Wilmington, DE, including double-hung, casement, picture, gliding,, and more. You can select a style of your choice, along with different customization options to improve both your windows’ design and functionality. 3. Andersen Windows Use High-Performance Materials – Regardless of where you live, Andersen has the right windows for your needs. Andersen uses some of the most durable and efficient frame materials, such as wood, vinyl, composite Fibrex®, aluminum, and fiberglass. These windows also come with energy-efficient glass to combat unwanted heat gain and loss. 4. Andersen Windows Come With Industry-Leading Warranties – By turning to Energy Efficient Replacements for your Andersen wood window installation, you can take advantage of some of the strongest warranties in the industry. You can have peace of mind knowing that you will be protected from costly damage for many years.